I traded this late 60's IBM Selectric I. And I got this 1923 Underwood 3-Bank Portable. I need to give it the once over but it will be great. This 1940 folding Corona is in fabulous condition. It has a Danish keyboard. This Corona Sterling is one of my top three favorite machines. I get a lot of pink machines in for repairs these days. A little early morning blogging this morning. Great stuff as always, Tom! I hope your luck rubs off on me! I want the Future ad as a poster. Love it. Some great typewriters. A good condition Selectric I would be a nice find! 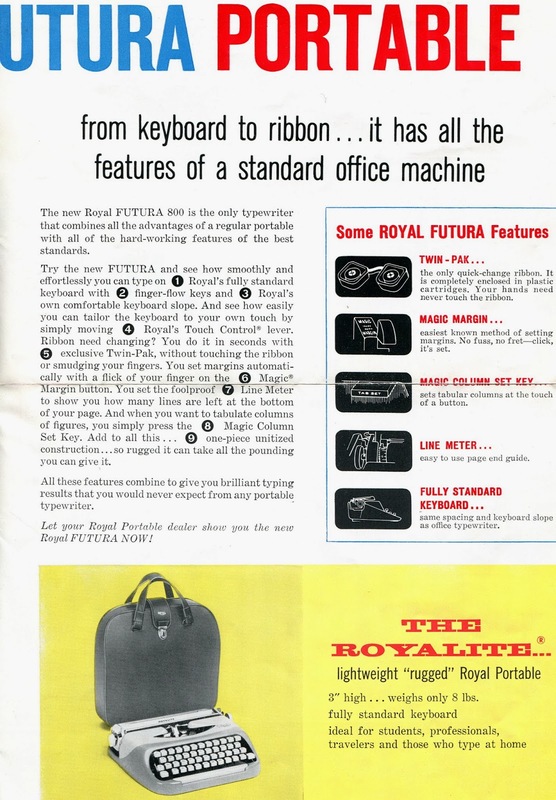 Thanks for posting the Future flyer - a printout of it will make a nice complement to my 800. I love the three-bank. I was able to get one in pretty good condition. The front is a little worn and chipped, but the remaining paint is good. I was so amazed at how small they really are. 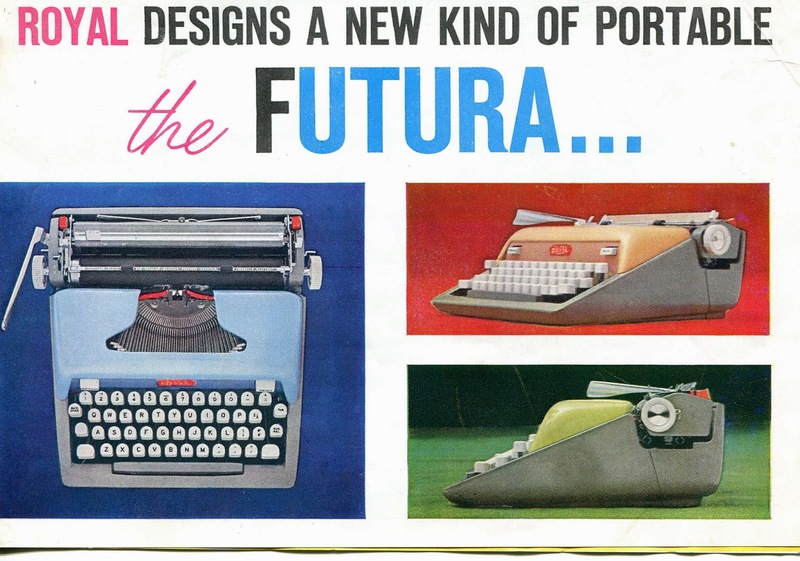 They are a marvel of mini-typewriter design. I am glad you finally got one. Hello Tom, Underwood 3-Banks seem to come along in batches. I has two to repair in quick succession last year ! They seem to pop up surprisingly often on British e-bay too. Interestingly, the British Underwood 3-bank sales agent in the 1920's was Longs Ltd., the British equivalent of Ames. Longs are looking for one of these to put in their director's office. I'll be restoring it for them. Small world ! I'm a big fan of the colourful Royal QDL's. Why laptop's aren't made in all sorts of garish colours (similar I guess to what the Imac's used to be) I've got no idea. I reckon they'd sell like hotcakes. 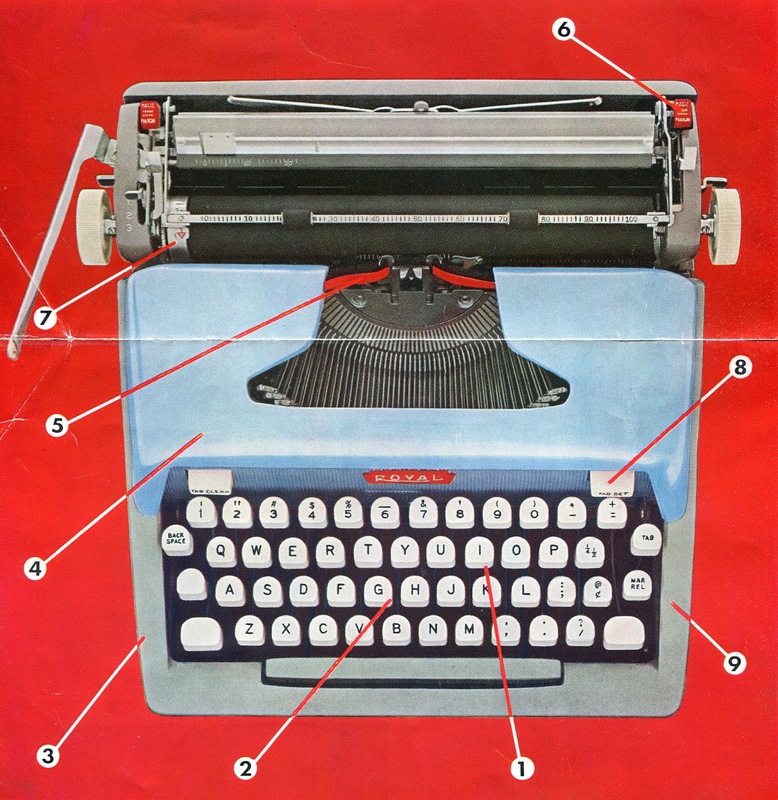 Every girl and her dog wants a red or a pink typewriter! Tim- Thanks for your generous comments. Ton- I wish I had a 3000 to trade you. I'll let you know if I get something soon. Thanks. Writelephant.con- I see Selectrics everywhere. There still very common. Thanks. TonysVision- Thanks. 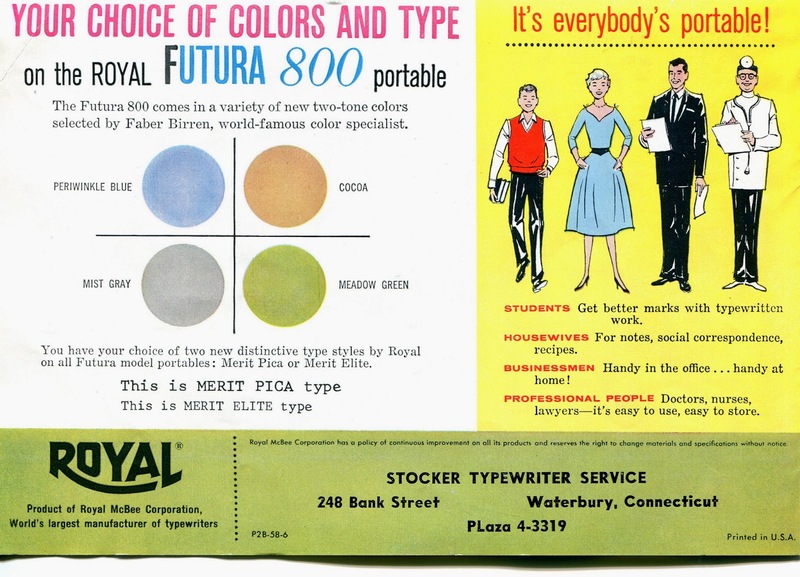 that Futura 800 flier is pretty cool. Blowing it up to poster size sounds even cooler. Ryan- I've always been amazed at the 3-bank model too. How can something so small be such a great typer. 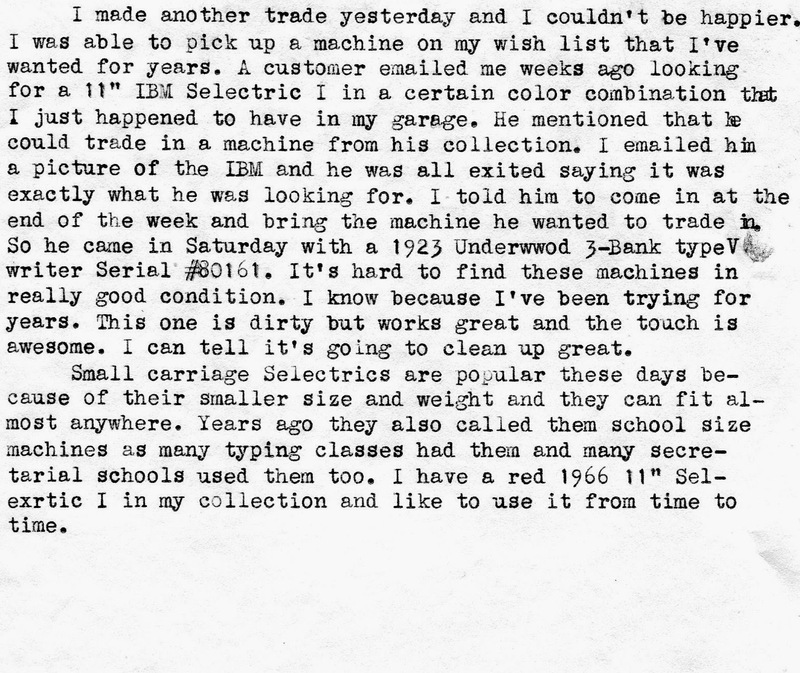 Ted- I don't have to tell you how great Selectrics are. I fix them every day. I've always been partial to the short carriage models. Thanks!! 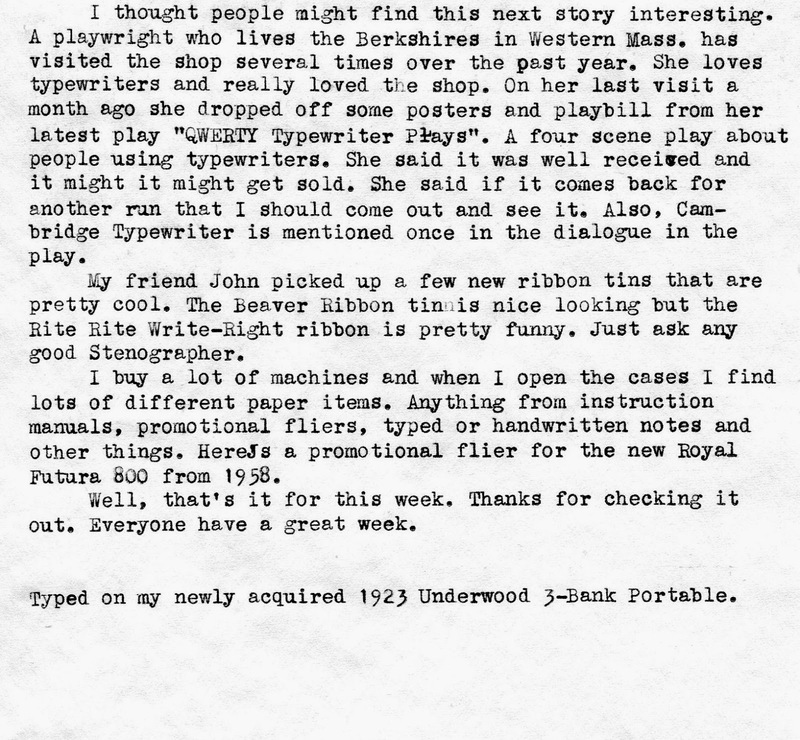 Typewriter Man- Great to hear from you Tom. Glad you're busy. I won't be surprised if I start to see more of these 3-bank machines. Steve Snow- Thanks for your comments. I've had two pink QDL's in for repair lately. 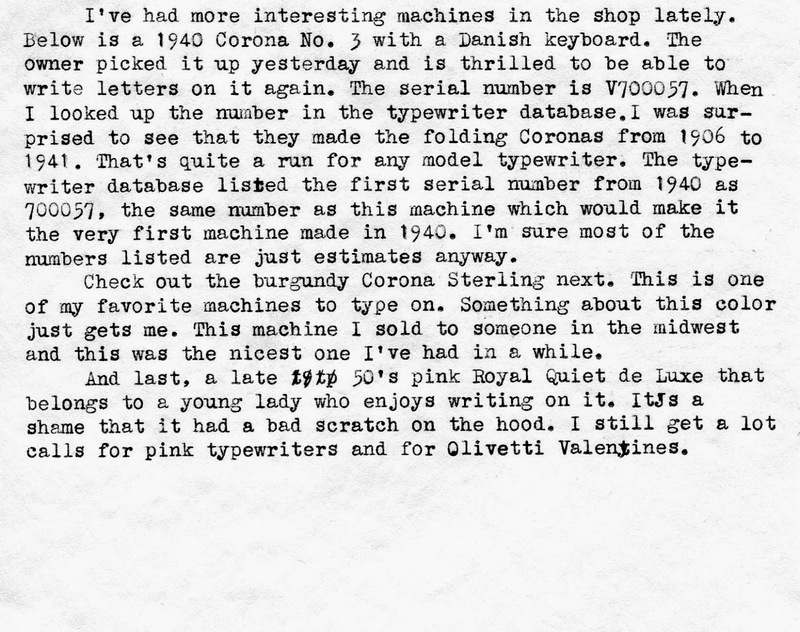 I tell my customers that teenage girls have driven the price of pink typewriters through the roof on Ebay. Thank you everyone for all your generous comments. 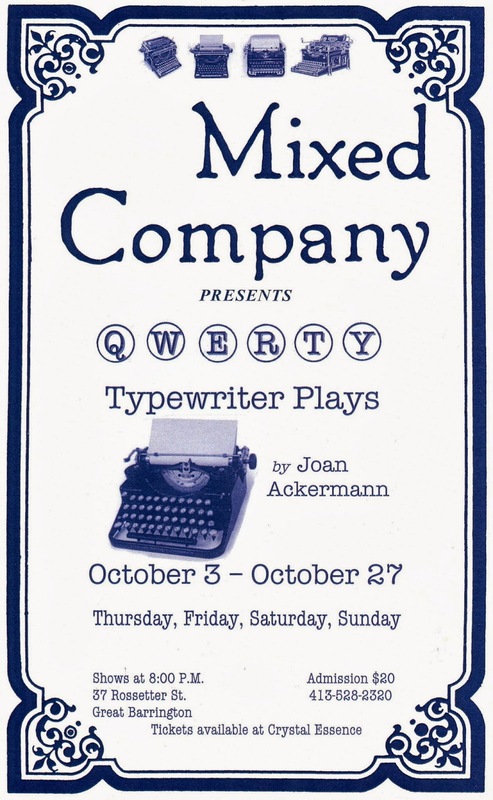 I would love to see those typewriter plays. The little Underwood has some very distinctive numerals. Thanks for the lively update. I'm trying to join the dots between beavers and typewriter ribbon, and failing. A lovely tin though and congrats on the 3 bank. They are amazingly good, especially when you consider the age and size. Janet- I see a Futura in your future! Thanks. Richard- Thanks! I'd love to see it too. I'm having so much fun discovering new great typing machines every week. Rob- Maybe years ago Chicago had a large beaver population which have been replaced these days by rats. Thanks! A 3-bank portable! I bought one of those, it are real gems! Yours is looking particularly fine. Congratz on this great trade! More Beautiful Repairs Coming In.